Servants Without Borders (SWB), a non-profit organization based in Washington, DC, was founded in 2009 to share the love of Christ through service. Members and volunteers live all across the globe and work together to create impact that bring relief to impoverished communities. More information about our Mission and Vision included below. First, see details about #ShowerKiberaKids. #ShowerKiberaKids is one of our many initiatives. It is a social giving/action campaign that addresses access to education for children living in the Kibera slums in Nairobi, Kenya. 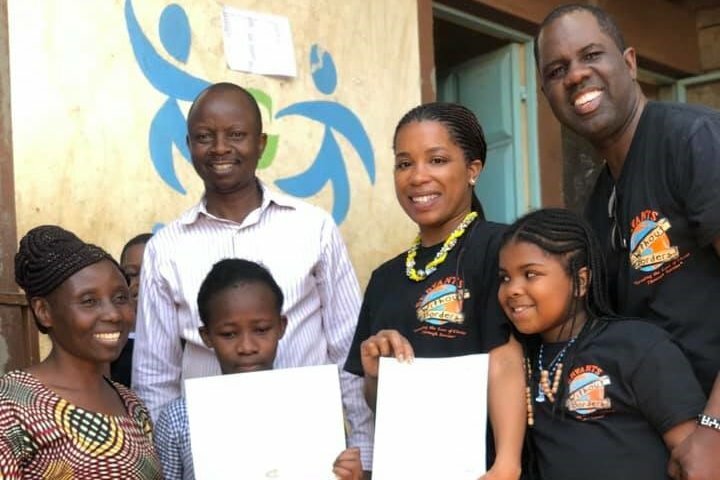 We are excited to partner with Cheery Children Education Centre, to provide scholarships to 32 students currently in Grade 7 for the 2020 school year. On March 7, 2019, members of SWB awarded our first scholarship to a student in Grade 7. Students wrote an essay about themselves and their “big dream.” The student with the best essay was awarded a $300.00 scholarship which covers tuition and meals for the 2020 school year for Grade 8. We were so inspired by the students’ essays that we returned home with a goal to award scholarships for the remaining 31 students. · Kibera is the largest slum in Nairobi and the largest urban slum in Africa. · Most of Kibera slum residents live in extreme poverty, earning less than $1.00 per day. 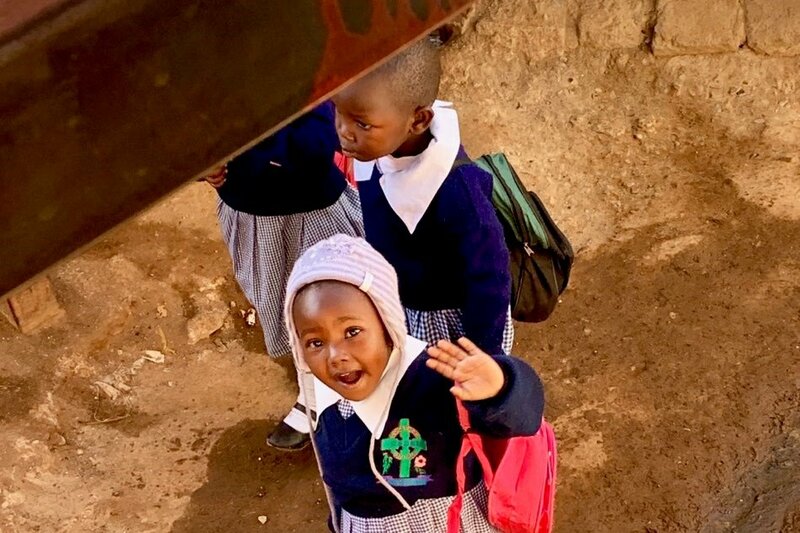 · There are no public schools in Kibera and over 100,000 orphaned children. · There are few schools located in Kibera, and most residents cannot afford education for their children. · 9 in 10 children from poor households will fail to complete Grade 8. · Unemployment rates are high. · Persons living with HIV and AIDS in the slum are many. · Disease caused by poor hygiene are prevalent. · A great majority living in the slum lack access to basic services, including electricity, running water, and medical care. TAKE A LOOK AT THESE NEWS REPORTS TO GET FIRST-HAND ACCOUNTS OF THE CONDITIONS IN KIBERA. How have the conditions impacted the children of Kibera? Profound poverty, competition for scarce resources, disease, conflict, addictions and lack of educational opportunities put the children of Kibera at extreme risk for illiteracy, illness, hopelessness, abuse and the meager resources accessible is the common definition of the urban poor child living in the Kenyan slums. Few opportunities exist for the children of Kibera and surrounding slums that allow them to learn and grow to their highest potential. 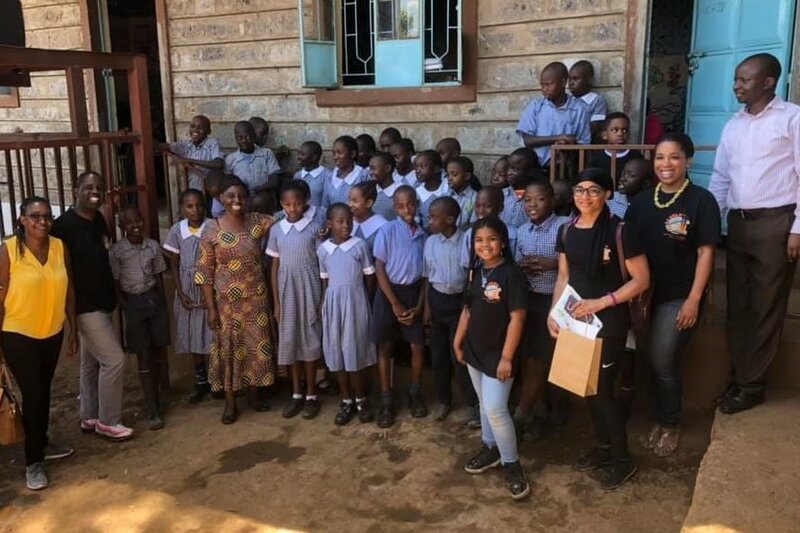 Although the Kenyan government has announced free education for all children at the primary school level, the children are still expected to pay tuition fees, buy their own uniforms (without a uniform they cannot attend school), provide their own food and in some cases there are not enough school desks and resources with children having class sizes of over 50 in a tiny room. This lack of opportunity results in a perpetuation of the poverty cycle allowing them to neither contribute to their full capacity to the community nor be able to take advantage of all that their society and the world has to offer. Why is ten thousand dollars our goal? Because EVERY CHILD deserves access to a quality education and we would like to help Grade 7 defy the odds. With your support, we believe that we can provide scholarships for the remaining 31 students. As a citizen of the United States, imagine what it would be like if your children or a child you know had no access to a public education in their neighborhood and limited means to pay school fees. By making a donation, you will help Servants Without Borders lift the financial burden for these 31 children and their families. Every $300.00 you donate will give one child in Grade 7 access to a quality education and a chance of defying the odds. Through our efforts, we seek to improve the economic, educational, environmental, and health conditions of disadvantaged communities. As our programs and initiatives are implemented, we will transform impoverished communities into safe and healthy environments in which residents can thrive and enjoy the quality of life that every citizen is entitled to possess.